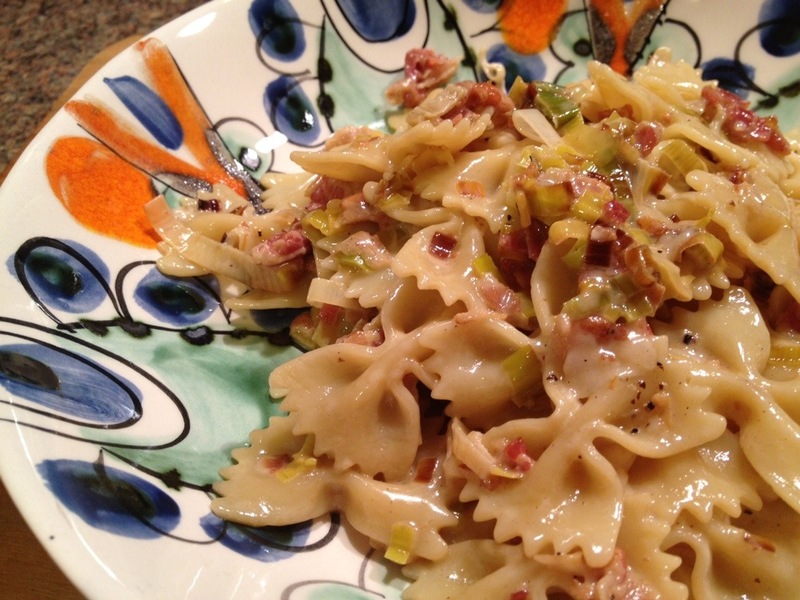 I had a few more leeks leftover this week and was craving some pasta. 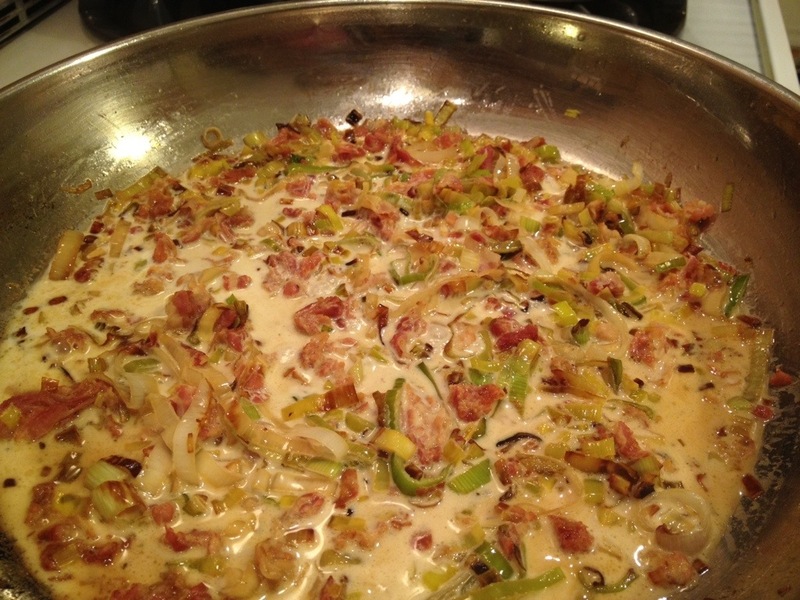 I found a recipe with leeks and pancetta, which sounded really good. And it was! Some creamy pasta dishes can be a little too much, but this was light enough that I didn’t feel like I was eating a bowl of thick cream. I’ll definitely be making this again! 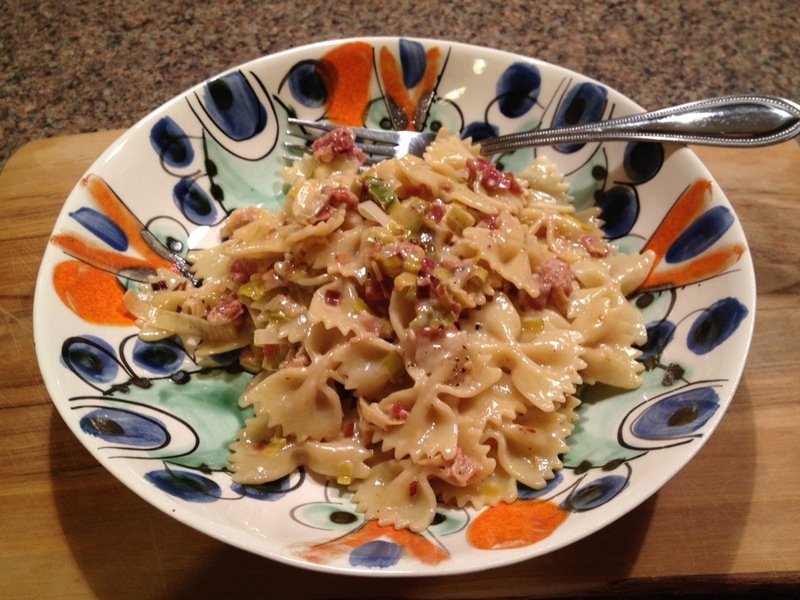 First, get your pasta cooking. 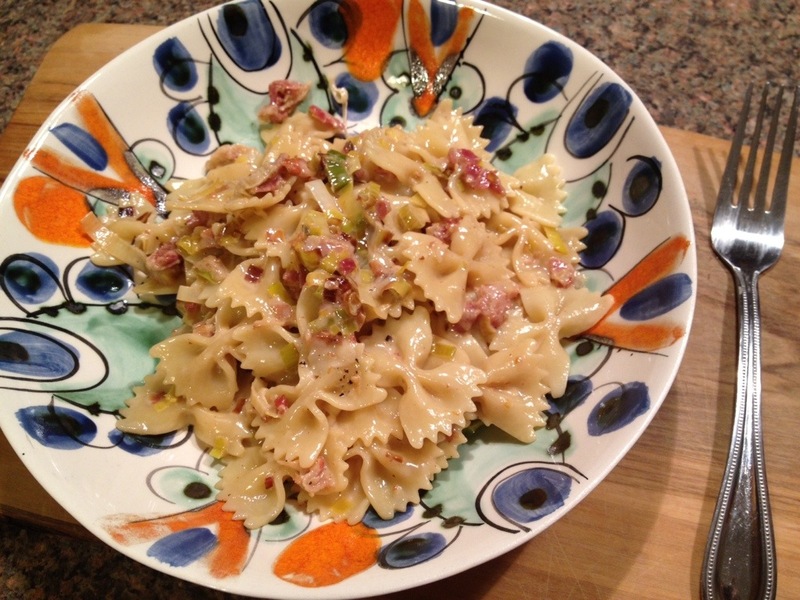 I always salt my water and add a tiny bit of olive oil, while helps the pasta from sticking. 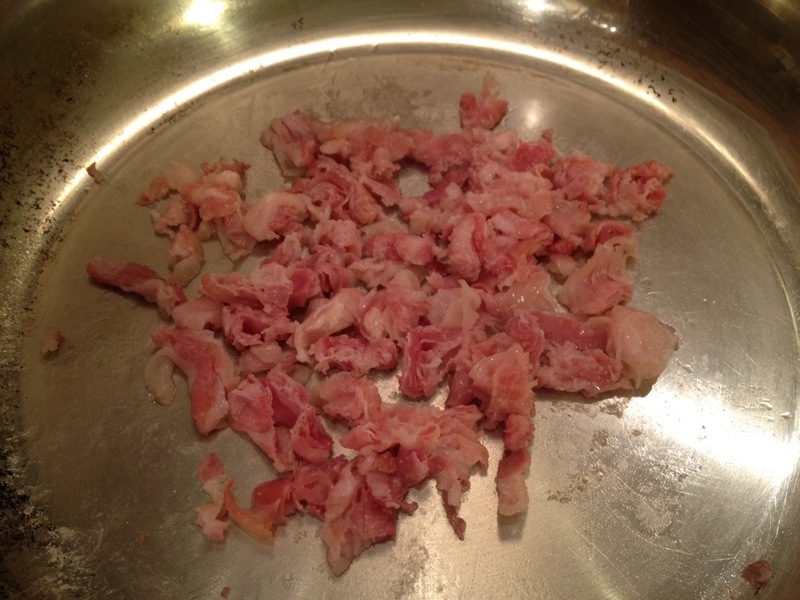 Chop the pancetta and add it to a hot pan, cook over medium heat. 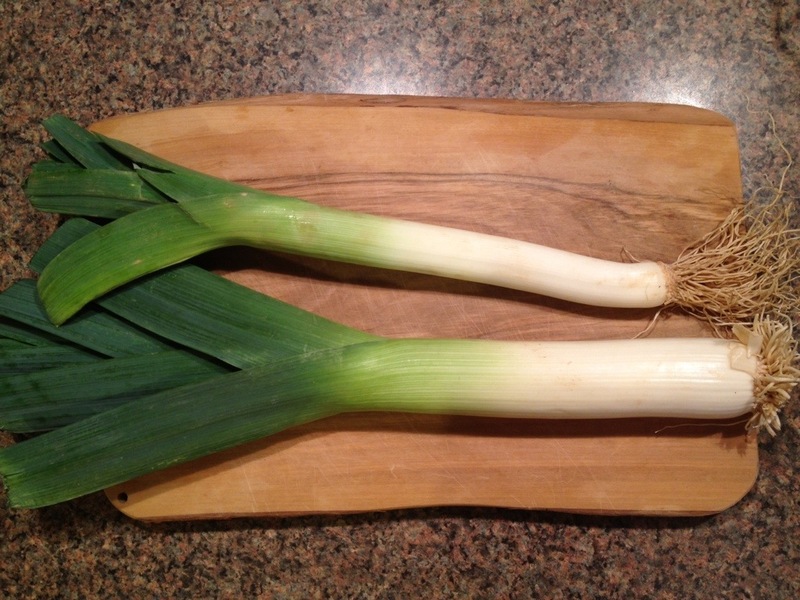 While that cooks, slice the leeks. 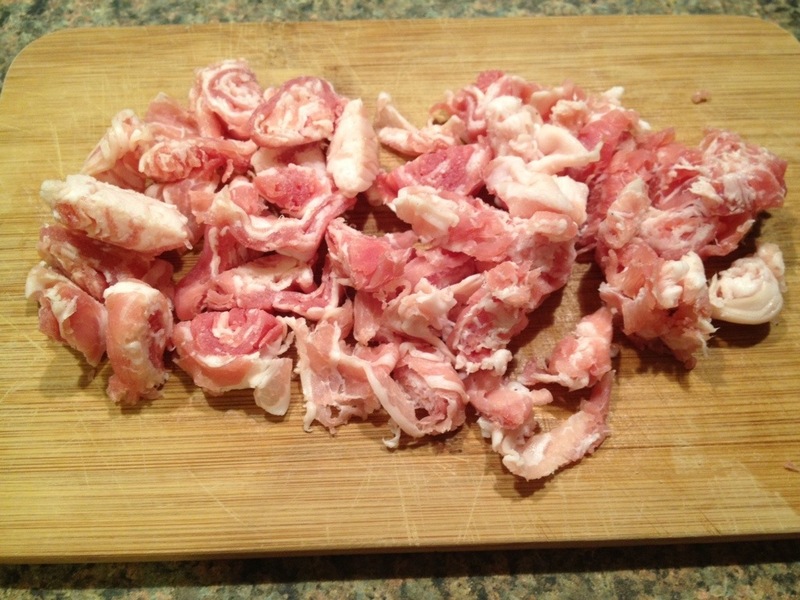 Trim them where the green areas start to get dark, toss the dark parts. 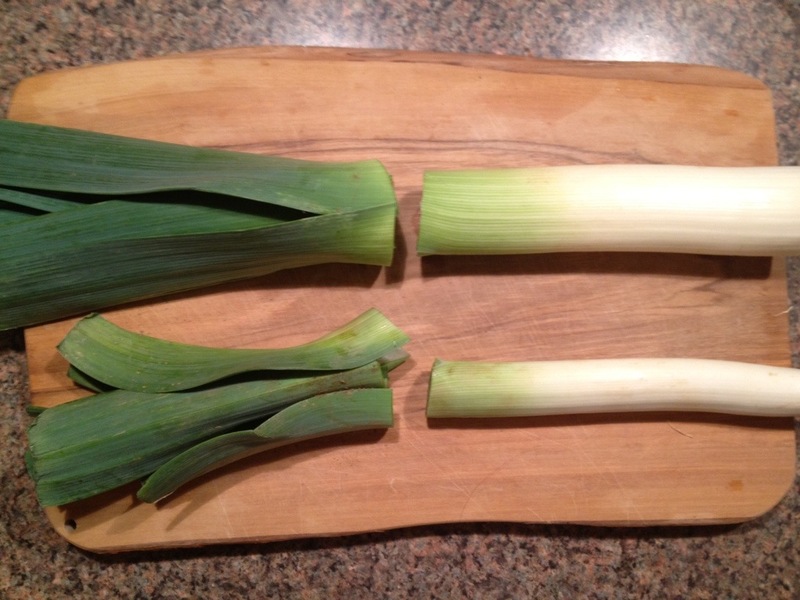 Wash the leeks really well to make sure no dirt is wedged between the layers. 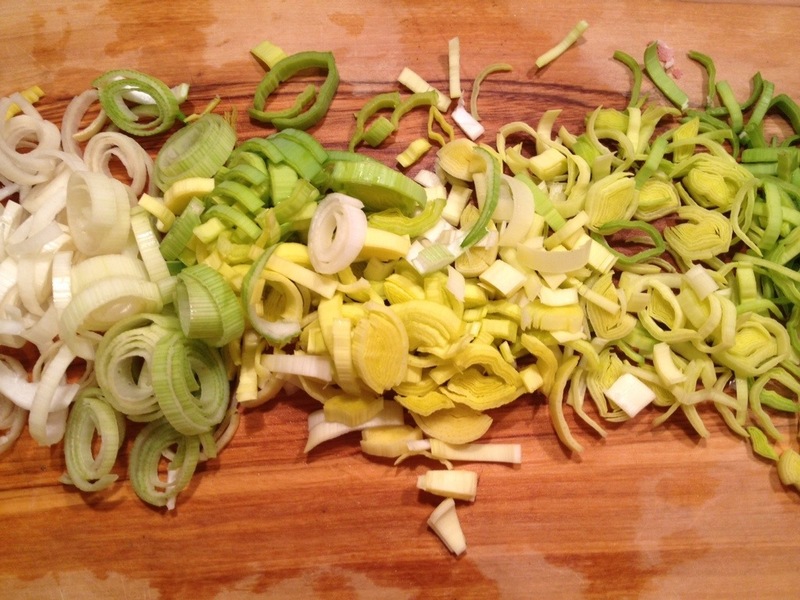 Thinly slice the leeks. 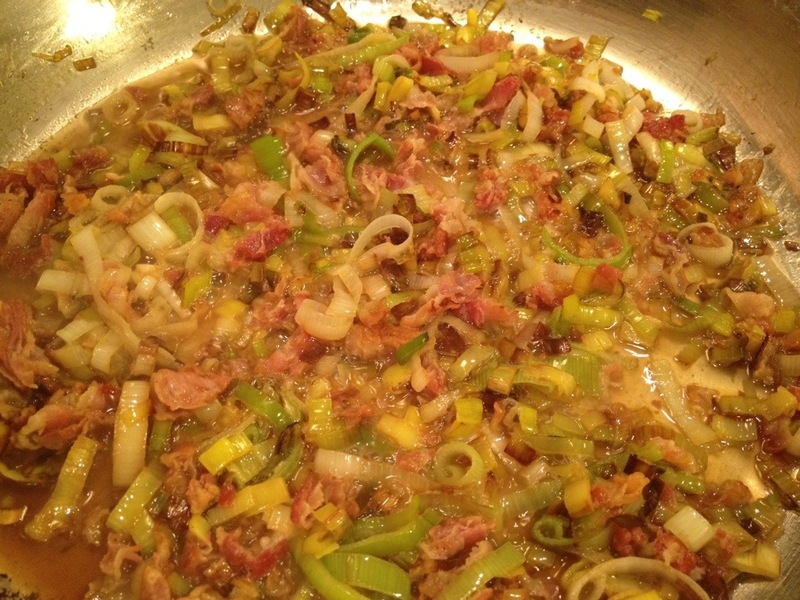 Once your pancetta is browned, add the leeks and cook for about 8 minutes on medium low heat. 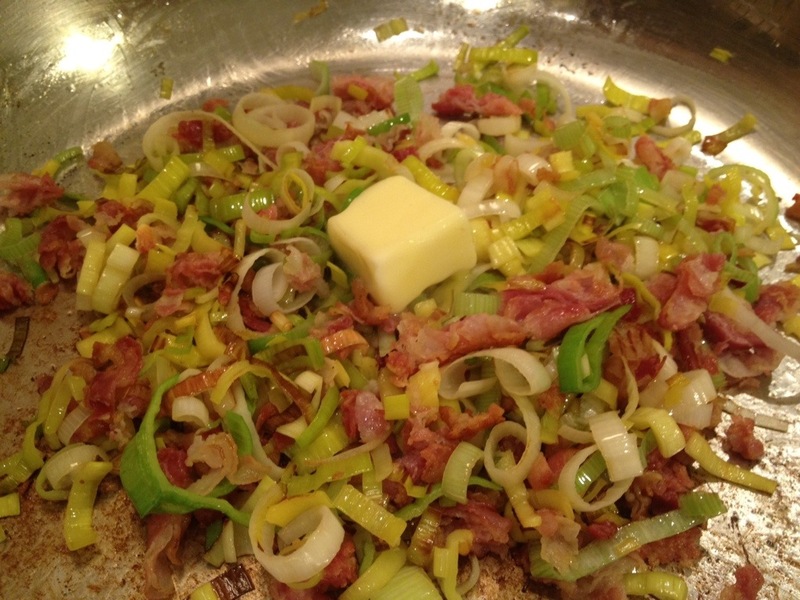 Then add the butter! Cook another 5 minutes or so until everything is nice and cooked down. 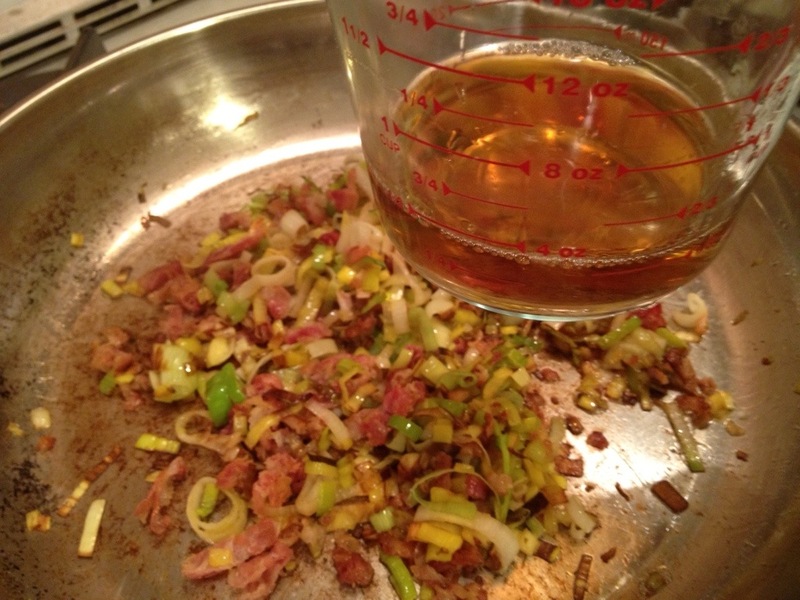 Add the sherry wine and cook for another two minutes. 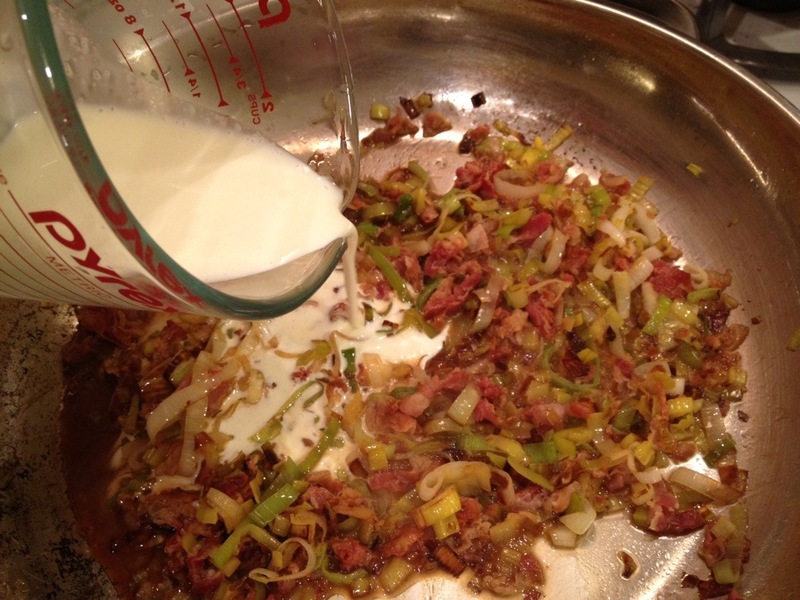 Turn down the heat to a low simmer, and add the cream. After a minute or so, turn off the heat and add the pasta. 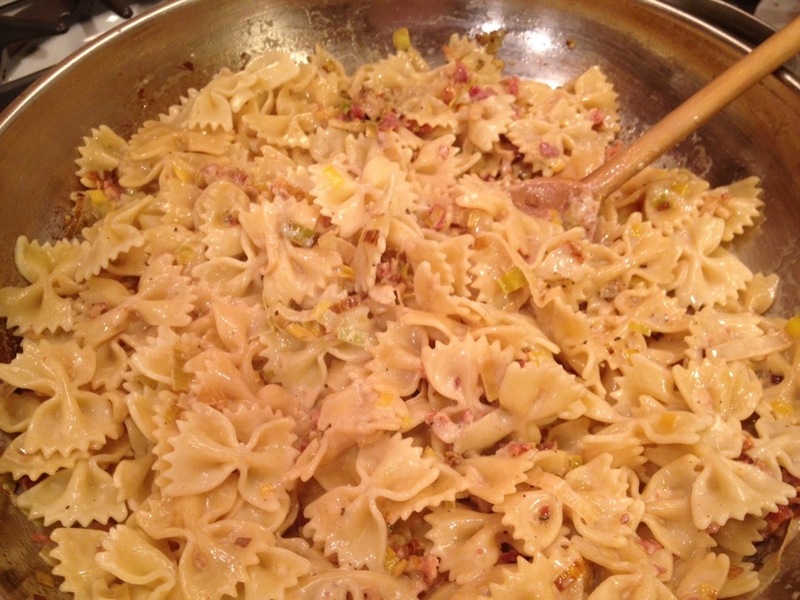 I find that it is best to add scoops of pasta at a time and not to dump the whole thing in there at once. There’s nothing worse then when you add too much pasta and don’t have enough sauce to cover it all. 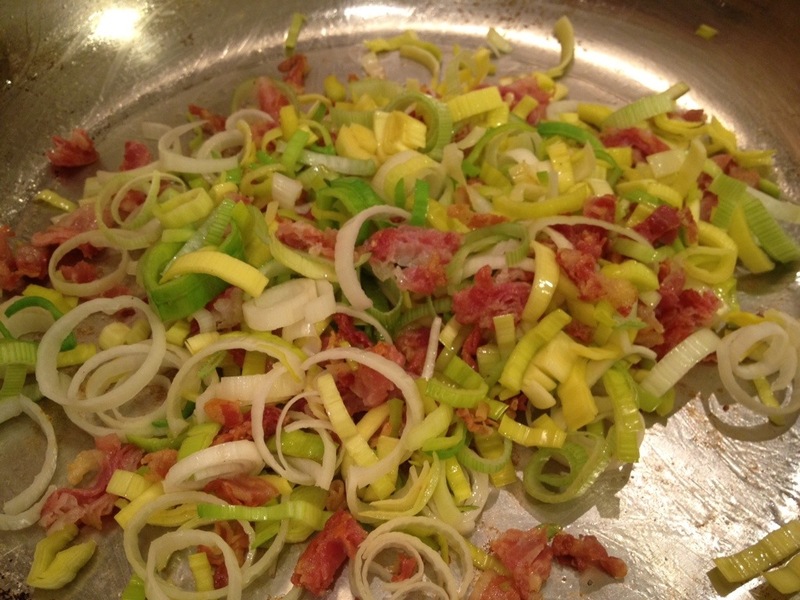 In cooking you can always add things, but you can’t really take it out once it’s in there! 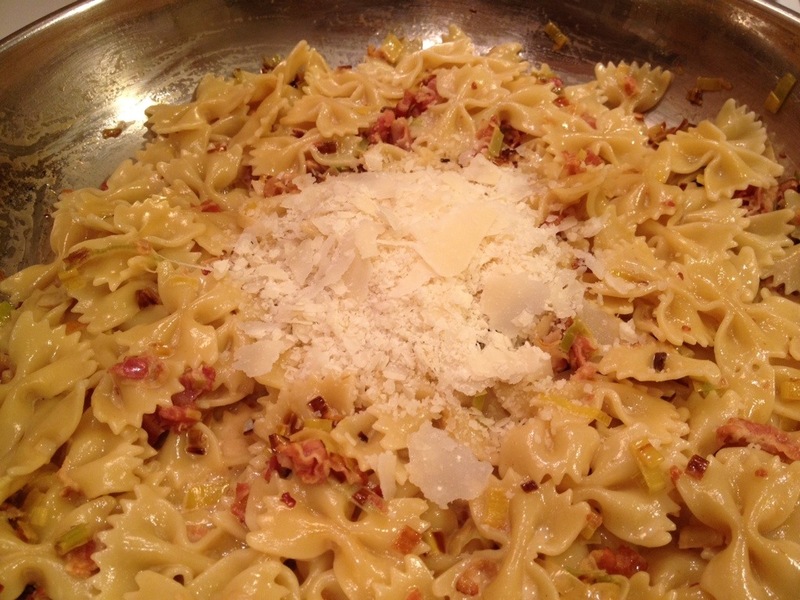 Lastly, fold your pasta into the sauce and add your parmesan cheese. Serve right away. Enjoy!